His is a growing sentiment. Similar examples are scattered across the American landscape this fall as high school football games and seasons have been canceled over concerns about dwindling numbers of healthy players. Rosters, already thinned by declining interest in football at some schools, were further reduced by injuries to the point that coaches and administrators opted to pull teams off the field. “I never thought in a million years that I’d have trouble finding kids to play,” Bakkethun said. Similar circumstances have ended games or seasons in places like West Seattle, Wash.; Bay City, Mich.; and Plattsburgh, N.Y., in the past few years. But steady reports of forfeitures made this season stand out. At Cheyenne Mountain High School in Colorado Springs last week, the initial football roster was pared from 45 boys to 12 through a mix of dismissals, eligibility issues and injuries. Athletic Director Kris Roberts told The Gazette of Colorado Springs that three boys were out from concussions and five from other serious injuries. Cheyenne Mountain has an enrollment of roughly 1,300 students and made the state playoffs in football three years ago. But it canceled the remainder of the season because it did not have enough healthy boys. The same thing happened in Portland, Ore., where Madison High School last week forfeited its final game of the season because of injuries. “After looking over the injury reports from the varsity team, with the student safety in mind, we feel it is best to discontinue play at the varsity level,” Principal Petra Callin wrote on the website of the high school, one of nine in Portland Public Schools. Officials said they could not recall the last time that football games had been canceled in the school district because of injuries or a lack of players. Christine Miles, a district spokeswoman, said that 10 or 12 of the 29 players on the Madison roster had sustained concussions. Tightened protocols in the past couple of seasons, as awareness of concussions has grown considerably, makes returning to the lineup more difficult. Roughly half the roster at Madison, a school of 800 students, consisted of undersize and inexperienced freshmen. 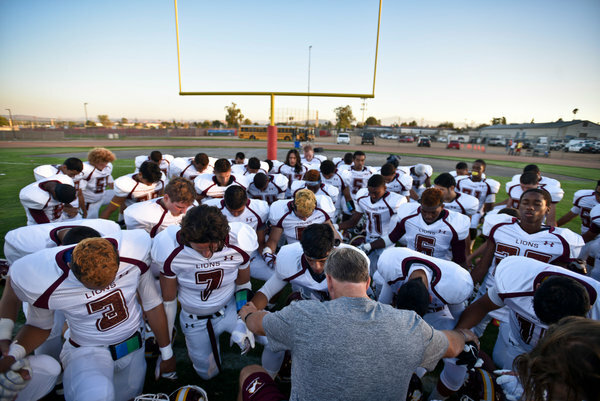 A shift in how a community views football is particularly vivid at Arlington High School in Riverside, Calif. Tyler Lewellen, a 16-year-old defensive back, died after sustaining a brain injury in a scrimmage at the start of last season, and the tremors of that incident are still shaking the football program. The Lions haltingly played on last season, through their grief and fears. Ultimately, they gained a measure of satisfaction by persevering, honoring Lewellen’s memory and reaching the playoffs for an eighth consecutive season. This season was supposed to be a step toward normalcy. But participation plummeted so sharply that the junior varsity team was dropped, while the aversion to contact in a sport that demands it has remained, as has a heightened awareness of injuries. The Lions are 0-8, and none of their games have been close. Four players have been held out of games after sustaining concussions, and Friday ended a streak of three consecutive weeks that a player went to the emergency room for an injury. Earlier in the season, another player was transported from practice to a hospital by ambulance when he complained of a tingling pain in his neck and shoulder area after a collision. The injury was diagnosed as a stinger. Measured by participation, football remains the most popular high school sport in the United States by a large margin. Last fall, more than 1.1 million boys played high school football, according to the National Federation of State High School Associations. But the number has dropped slightly in recent years, while participation in other high school sports has grown. From 2008 to 2013, the number of boys playing football fell by about 17,000, while the amount of boys participating in other school-sanctioned sports rose by about 122,000, the national federation said. Participation has long been a concern at small schools, where the vagaries of class size and other interests can leave a varsity team depleted, even without injuries. Tiny Lincoln High School in Lincoln, Mont., plays the six-man version of the game, rather than the usual 11-man, but forfeited the season because it had only five players. A year ago, it had 18. In the center of Illinois, in the heart of the country, three rural schools combine to field an 11-man football team called River Valley. In an early-season game, injuries reduced the team from 17 players to 12. With a few minutes left in the third quarter, after a meeting with administrators and officials, the game was called. River Valley did not cancel its season, but it has forfeited five other games because it could not field a team. Rolf Sivertsen, the superintendent of the local school district, Midland Schools, said he believed that parents were keeping their sons away from football because of growing concerns about concussions. And with small rosters, a few injuries can end a season. In Cherry, Minn., the high school participates in nine-man football. Bakkethun, the coach, began the season with 18 players. One moved away. The starting quarterback was lost to a broken collarbone. The top running back was one of several boys sitting out with a concussion. Another sustained a ruptured ear drum, a second hurt a foot and a third broke his hand. 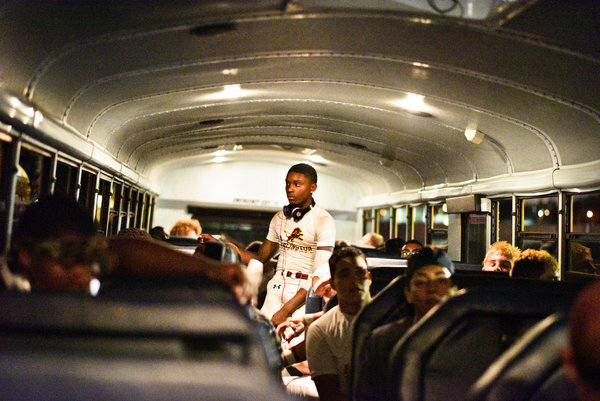 When the team arrived at a recent game with 11 players, the school decided to forfeit. Now Bakkethun worries about the long-range future of football, at his school and beyond. 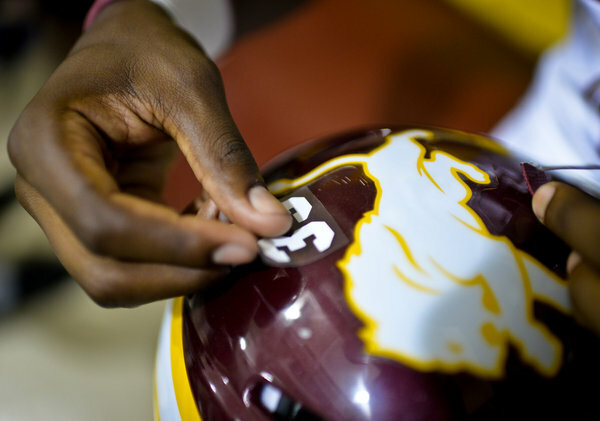 A meeting is scheduled for the community to discuss the future of the football program. Bakkethun is optimistic that there will be football in Cherry next fall, and for many falls after that. But he said that high school football might be in for a long fight given the threat of concussions.